We all have a tendency to respond to things that grab our attention or rouse our curiosity. Within each of us, there seems to be an insatiable hunger for knowledge. But are traditional methods of learning tapping into the hunger that lies in the hearts and minds of our students? Each day, students sit in our classrooms compliantly completing the work we assign them, but they are all too often disengaged by the content. What would happen if we gave them a chance to explore topics that were important to them? Take Donnie for example. Donnie is a creative, energetic, artistically gifted eighth grader in our middle school. He has a knack for creating great adventure stories and the lifelike illustrations to go with them. He is very interested in science fiction and has a dynamic personality. However, Donnie often struggles with sitting in one place for more than 10 minutes, focusing on classroom tasks, and impulse control. These problems are manifestations of his Autism. This student is only one of a diverse group of learners in my 8th grade ELA classrooms. After meeting this group of students in August, I knew that something interactive and student driven would need to be done to maintain their attention and focus. Research shows that today’s learners want to connect and communicate constantly and want an environment to support these connections (Taylor and Parsons 2011). 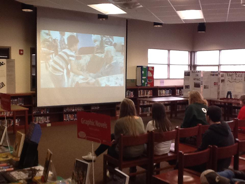 Project based learning (PBL) experiences offer students such opportunities. At the beginning of this school year, my co teacher and I realized that the diverse nature of our language arts classroom would require something more than the traditional teaching methods. Classroom level plus/deltas and student voice feedback indicated that students were not feeling challenged and often were not engaged classroom activities, so we began researching and brainstorming ways to meet our standards using the PBL model. We started by examining information from the Buck Institute for Education (BIE) and branched out to sites like edutopia.com and articles found in Educational Leadership. It seemed as though project based learning was the best solution. 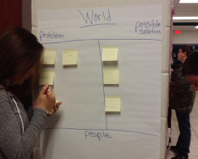 So, what did project based learning look like in our classroom? This year our school librarian initiated a school wide novel study. 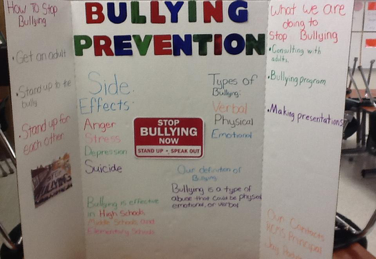 The theme of the novel was choosing kindness – highly appropriate for middle school students. Since the students were already immersed in the reading of the text and related activities, it seemed only natural to use this as a springboard into our PBL unit. 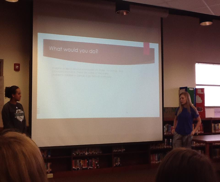 The driving question was, “How can we show kindness?” Since student voice and choice is a critical element in the PBL process, learners were given the opportunity to work in peer groups to brainstorm areas in their school, community, state, nation, or world where we can and should show kindness to others. The end goal was to develop a plan that would address an area where kindness was needed and present that plan to peers during class and parents and teachers during family night. 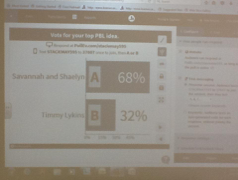 Classmates and school faculty voted on the best plan, and it was implemented by our school. Students were expected to read and research credible articles to help them understand problems in their areas that needed to be addressed, find individuals and organizations who could offer assistance, and write letters to at least one of those individuals requesting information or assistance. In order to ensure that students were staying on task, checkpoints were set along the way. The final presentation was developed using the students’ choices of media, and would be assessed using a student generated rubric. The unit lasted six weeks and incorporated numerous reading, writing, speaking and listening standards, but were we able to effectively engage our students? After the completion of the project based learning units, we initiated a plus/delta with our students as well as an online anonymous survey. Students overwhelmingly agreed that PBL offered them opportunities to research and learn about an area that was of interest to them, provided a chance to work and collaborate with peers and community members, and take responsibility for their own learning. 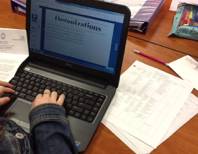 The survey results showed that 83% of our students found the PBL unit to be engaging or highly engaging, 80% said they were likely to choose to project based learning over traditional methods, and a little more than 80% believed they effectively used close reading, writing, speaking and listening skills to complete the required work. From a teacher’s perspective, I saw a classroom full of students who were actively participating, reading, writing, questioning, and exploring. I saw students who possess various skill levels and interests taking the lead role in their learning. In the end, I saw students who were excited to present and share their information with classmates, family members and faculty. The project based learning experienced exponentially changed the way I viewed my classroom, my students, and my teaching practice. 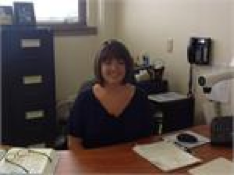 Stacie May is an eighth grade ELA teacher at Rowan County Middle School in Morehead, KY. During her eight years at RCMS, she has had the opportunity to serve the school as a member of the ELA Leadership Network, seventh grade team leader, and assistant academic team coach. Mrs. May is currently pursuing a National Board Certification in Early Adolescent English Language Arts and is a graduate of the 2016-2017 Classroom Teachers Enacting Positive Solutions team. Hear more about Stacie's students and their work in this video.